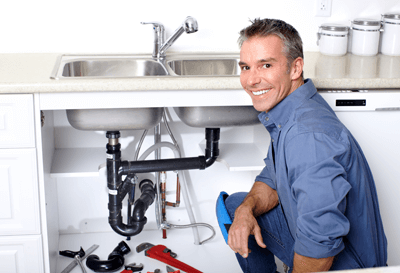 Do you need a experienced plumber in Encinitas, California? Just call Blue Planet Plumbing! For those emergencies like drain cleaning for a backed-up sink, a water leak, or a broken water heater, we’re on-call 24/7 with fast response and provide free in-home no-obligation estimates. We’re also your local plumbing experts for preventative maintenance and periodic inspections at commercial facilities. We’re master plumbers, ready to handle everything from a clogged sink or leaky faucet to complete building re-piping, for both homes and commercial buildings. Check out our drain cleaning, sewer cleaning, slab leak repair, and leak detection services below. Blue Planet is family owned and operated, and staffed by fully trained and licensed experienced master plumbers. We’re way more than one-trick-pony drain rooters or handymen. Our expertise assures you we’ll follow all codes and regulations and even anticipate inspection issues. Our company is fully insured and a member of the Better Business Bureau and the Plumbing and Heating Contractor’s Association. We care not only about the quality of our work, but also about your home or business property. We’ll minimize disruption and then thoroughly clean up. Our goal is to earn your business for a lifetime. Don’t put it off – let Blue Planet get your home back to normal or your business humming again right away. If you have a clogged sink or tub at home you won’t be able to cook and do dishes, or perhaps you won’t be able to bathe or shower. That’s why we’re available 24/7 with vehicles equipped with the latest equipment. Don’t risk damaging your garbage disposal and plumbing with harsh-chemical do-it-yourself treatments. Tub and shower clogs are caused by accumulated hair and soap scum. If a mild sodium hypochlorite based treatment doesn’t clear your clog by the second try, we’re ready with snakes longer and more powerful than you can buy yourself. We’re also well equipped and have the expertise to take care of commercial clogs. With extensive experience with restaurants as well as grocery stores, hotels, and offices we can provide a thorough inspection followed by upfront pricing and get the problem taken care of the first time around. Besides wasting water and running up utility bills, plumbing leaks can lead to all sorts of problems. Everything from a little mold or odor to significant water damage and even structural damage. Clues include a jump in water usage, damp areas, and/or mold growth. Blue Planet is the Encinitas leak detection specialist. Our experienced experts can track down leaks in walls, ceilings, and crawl spaces without damaging your property. We even have advanced electronic leak detection equipment for underground lines. 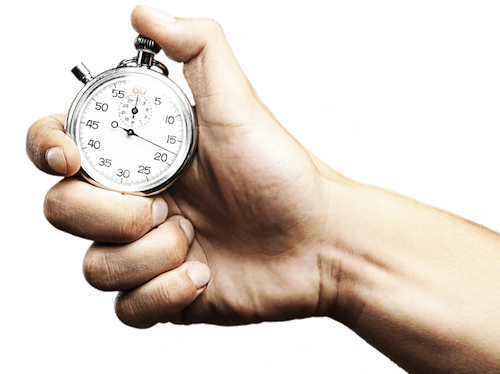 If you suspect a leak, give us a call; the potential damage and repair expense will only grow with time. Slab-on-grade construction can pose especially tough plumbing problems requiring highly specialized service. Pipes, both water supply and sanitary sewer, running beneath the slab can develop leaks just like any other plumbing. Not only does access make repairs more expensive, but their location makes it especially difficult to even know there’s a leak. A high water bill may suggest a leak, but that can result from many other causes as well. You may notice unusual moisture build up, warm or cold spots on the floor, or humid areas. When it’s very quiet you might even hear running water — that’s a sign for immediate action! Since the slab is almost always covered with carpet, you’re unlikely to notice any cracks in the slab itself. But as damage progresses you may notice cracks in the walls or even ceiling. Sewer line leaks are especially hard to detect, but in Southern California there’s no danger of frost-heave causing damage, so it’s only a sanitation issue. Your nose may be your best leak detection gear here. Blue Planet is one of the few plumbers in the area ready to tackle these problems. We’ll start by thoroughly assessing the situation, identifying the type and location of any leak prior to starting any slab leak repair. Correction usually involves cutting into the slab, replacing the pipe section, and then patching the slab. Under some circumstances “epoxy restoration” can avoid breaking into the slab, and where applicable is a quick and dependable alternative. Do you have an especially stubborn clog? Is more than one drain backing up? You probably need sewer cleaning. Regular drain cleaning doesn’t work on sewer clogs and blockages. For residences the problem is often tree roots. For commercial buildings, especially restaurants, build up of grease, oils, and fats are the more common cause. They reduce flow and can even cause complete blockage. Blue Planet has the latest in-pipe camera equipment to pin down the exact problem and provide you with up-front pricing. Besides major auger equipment, we have high-pressure hydro-jetting equipment for tough sewer cleaning problems. The special nozzle pulls the hose up to several hundred feet into the sewer drain, washing the sides of the pipe and flushing out residue. We take great pride in our diagnostic skills and workmanship and are dedicated to exceptional customer service. We want to become your go-to local plumber in Encinitas. Our goal to build a lifelong business relationship with each and every customer, both residential and commercial. From simple drain cleaning to sewer cleaning, from leak detection to slab leak repair, we’re your dependable 24/7 hotline. You can count on us to solve all your home’s plumbing problems. We’re also experienced working with commercial building owners and property managers. We’ve provided services to restaurants, office buildings, business parks, large retail stores, and more. Besides repairs, you can depend on us for preventative maintenance, including regular inspections and testing. Just give us a call for prompt, professional, courteous, and affordable plumbing services.